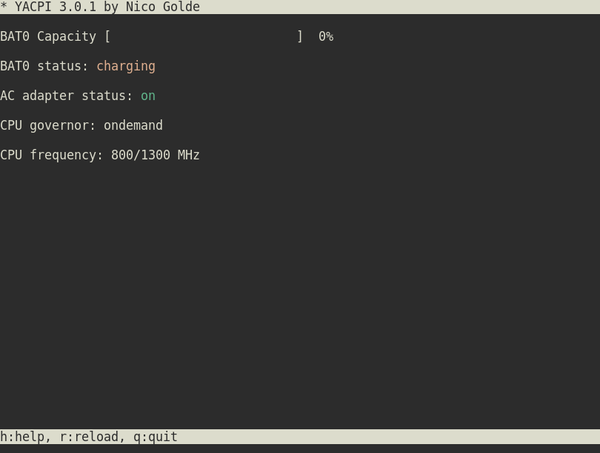 yacpi is a small utility that lets you check the battery status, the current CPU governor mode, and CPU data from the command line. The last command must be run as root. Once the utility has been compiled and installed, run the yacpi command to view yacpi in all its command-line glory.